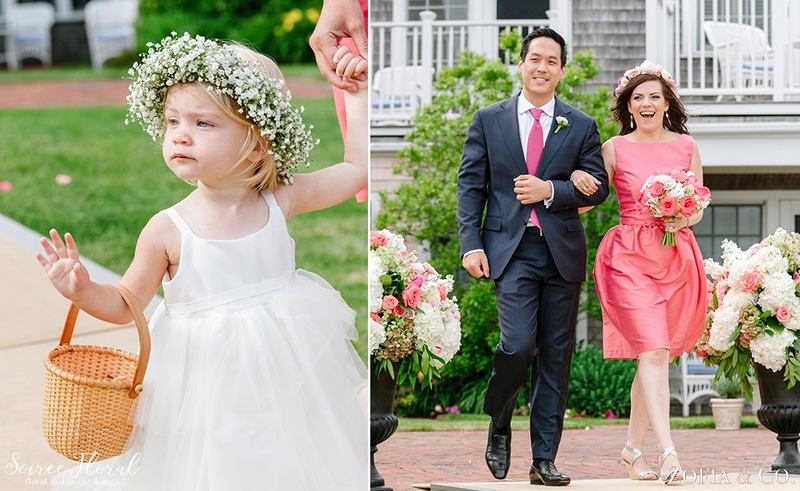 This bride’s Nantucket wedding weekend was a dream-come-true; one she’s been dreaming of since she was a child. 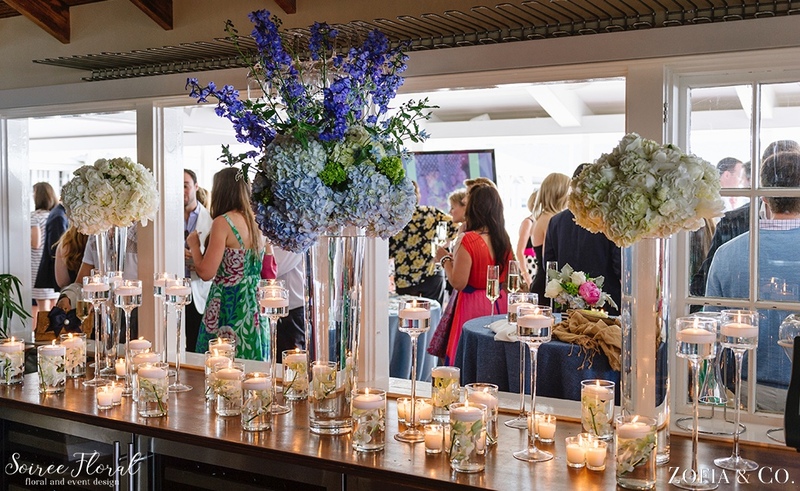 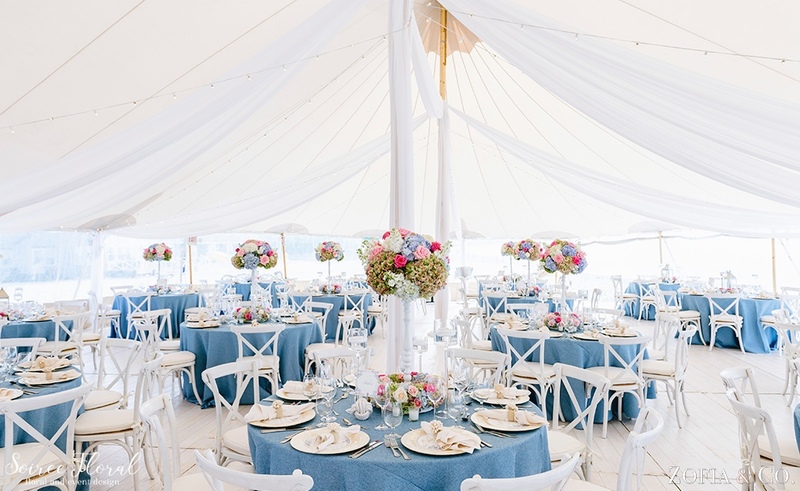 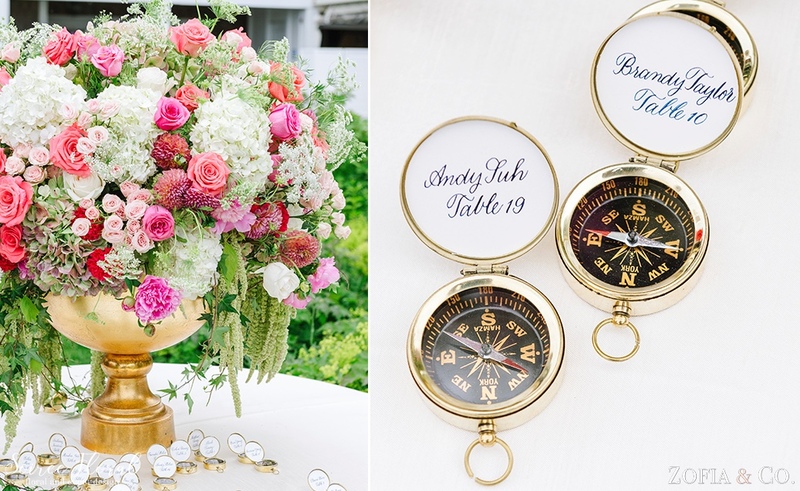 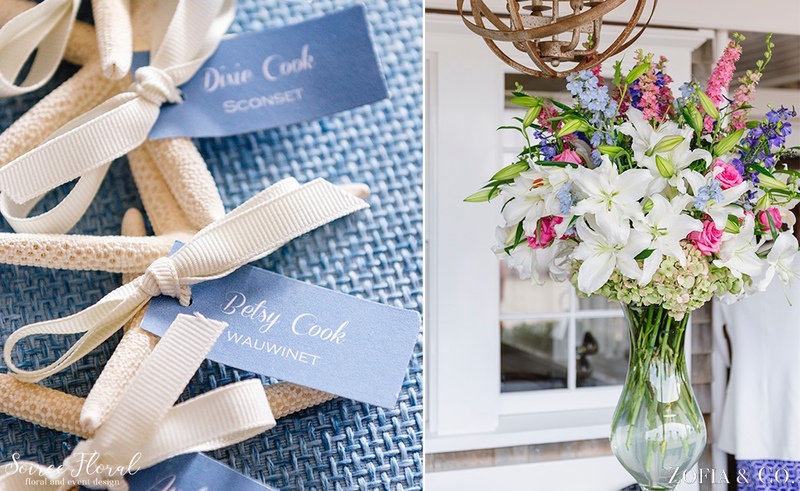 Flowers were the focal point of both the rehearsal dinner and wedding day events; “Nantucket” being our inspiration for the rehearsal dinner at the Galley Beach with elevated designs in shades of white, pink and blue. 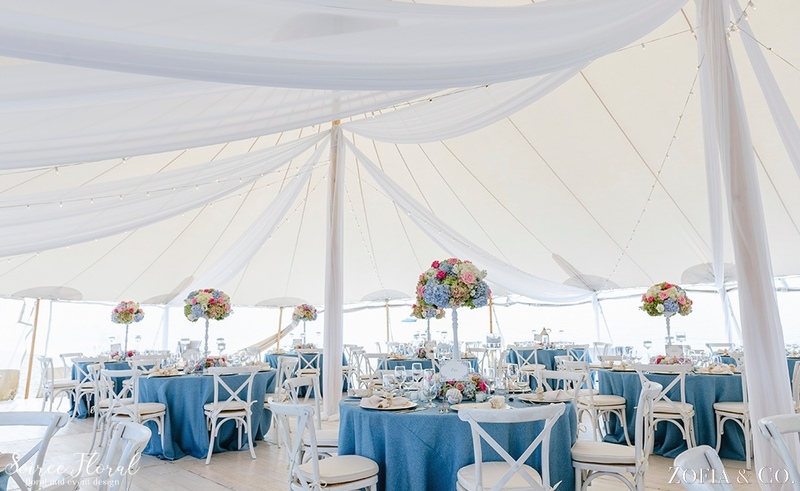 Nautical elements were filtered through by incorporating Mother of Pearl shell chargers, ocean blue woven linens and our custom made hand turned pedestals. 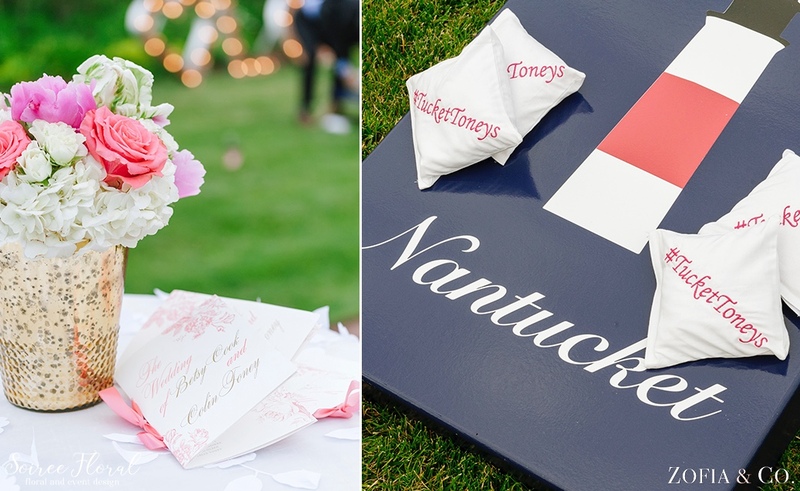 Ceci New York outdid themselves with all of the paper goods for the wedding weekend festivities. 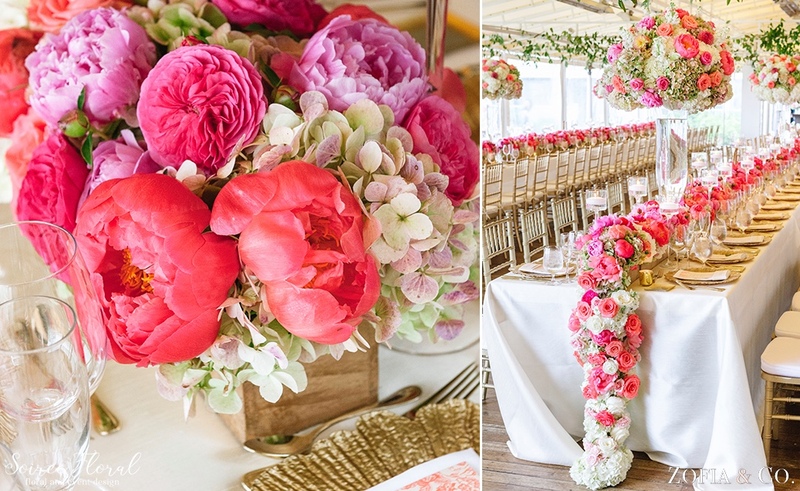 For the wedding day we designed lush floral runners in gold boxes full of coral peonies, garden roses and antique green hydrangea. 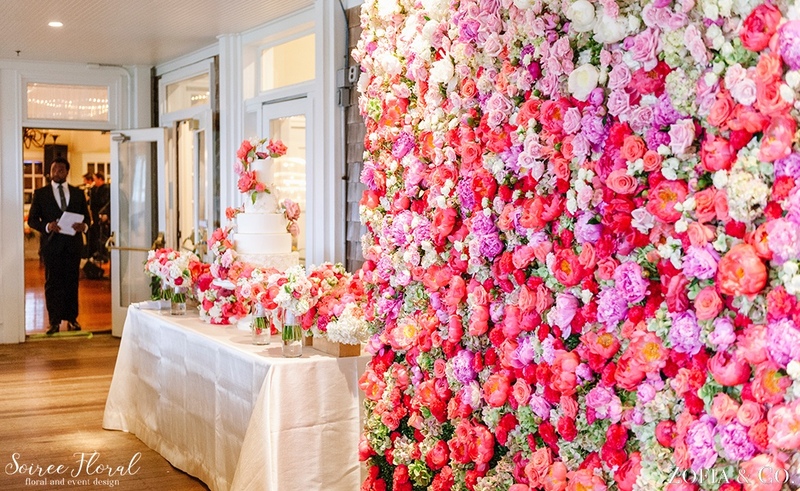 No detail was forgotten, our event design team curated each tabletop element from the custom silk dupioni linens and gold chargers to the salt and pepper cellars from Placesetters, Inc. Maggie Austin Cake flew to Nantucket with the tallest (and most gorgeous cake we’ve ever seen) and made us do a double take on their sugar flowers. 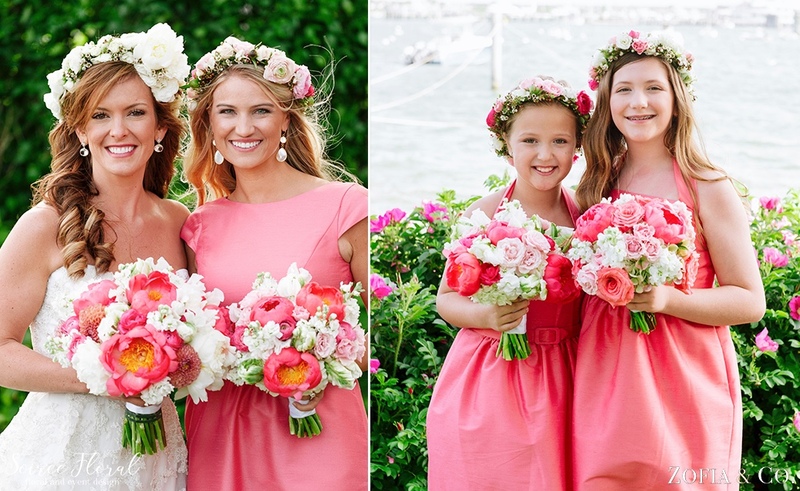 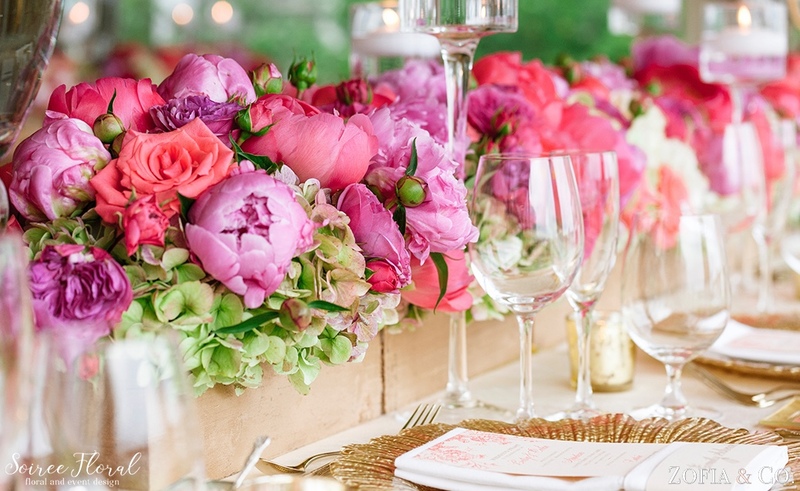 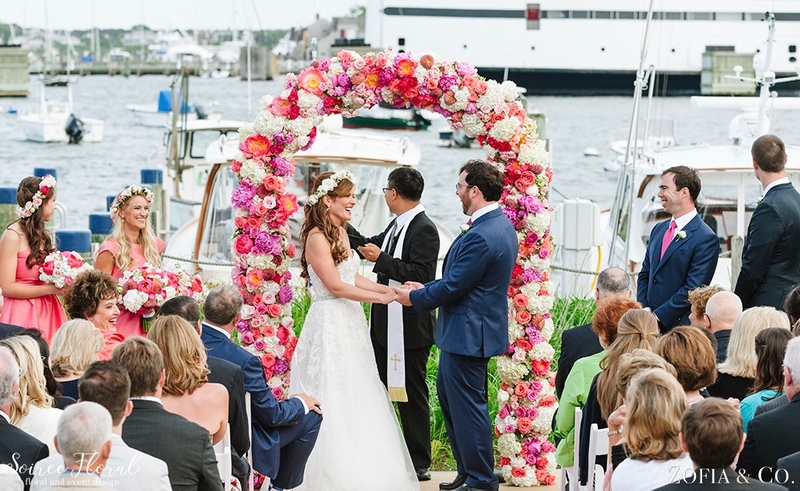 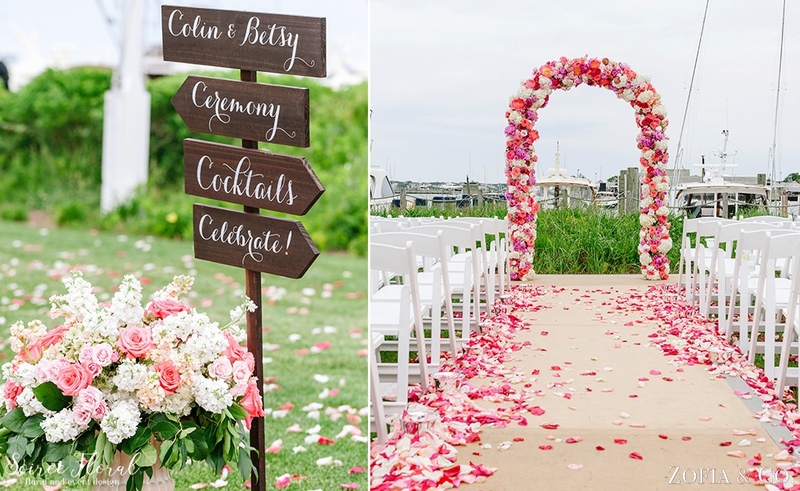 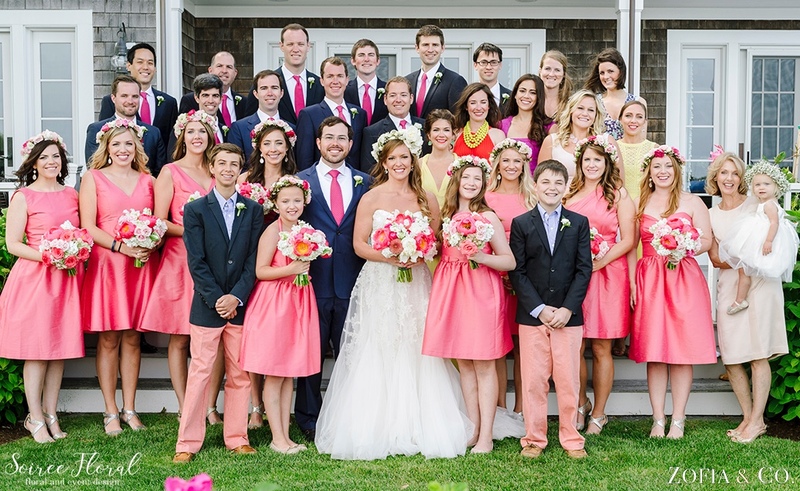 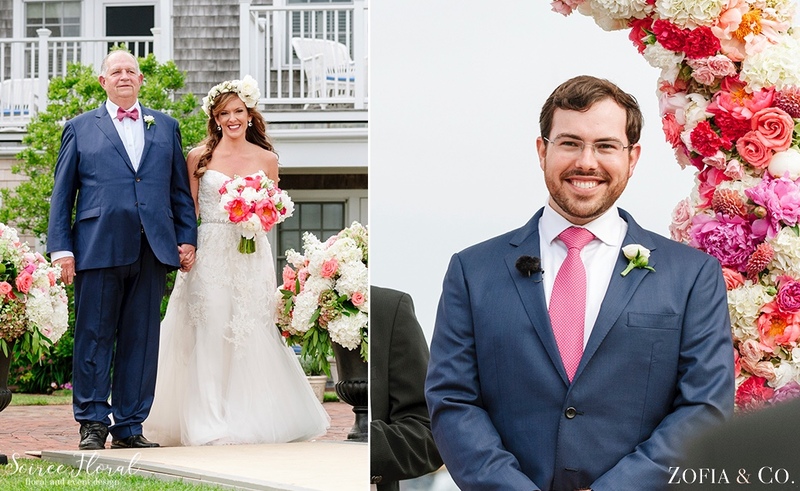 Take a peek inside a most beautiful Nantucket wedding at the White Elephant Hotel full of color, overflowing flowers (not to mention a flower wall!) 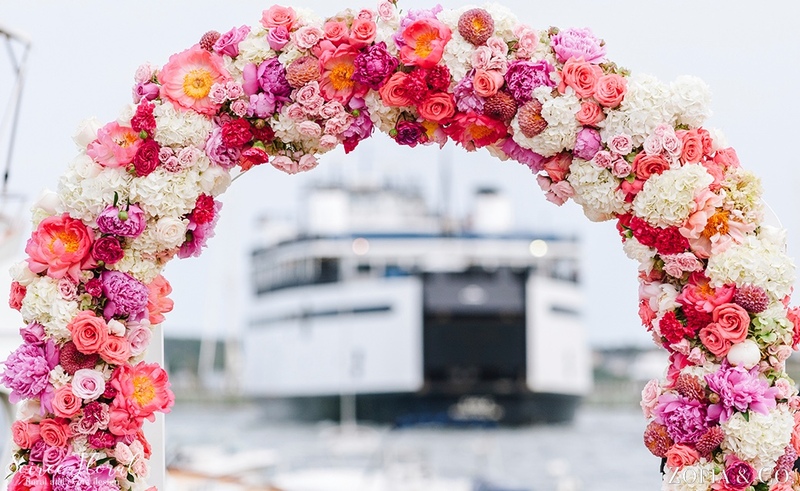 and lots of happiness! 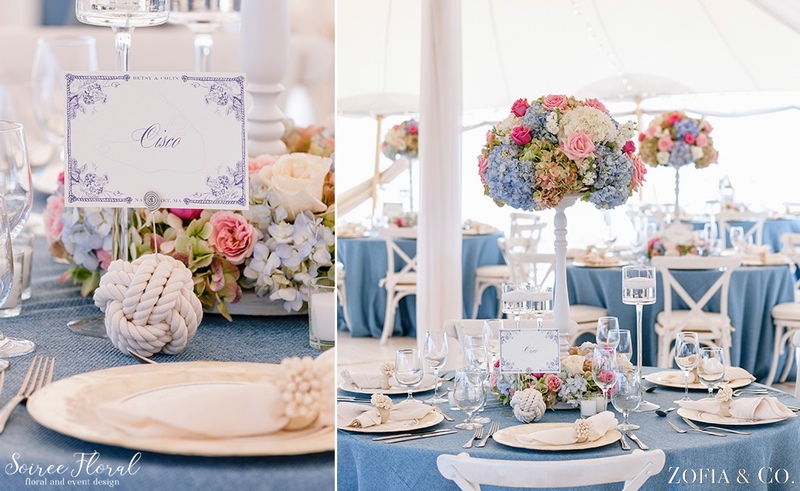 Photography: Zofia & Co.